Send Gift Baskets To Minneapolis, Minnesota. Whatever the gift-giving occasion, you'll find an endless array of beautifully designed gift baskets, gifts, presents, gift ideas and perfect gift solutions for your co-workers, friends, family, yourself and those you love. Send gift boxes, care packages, surprise gifts, roses, plants, bouquets and all occasion presents to Minneapolis, Minnesota. Buy gift baskets, gifts, flowers, fruit and presents for friends and family in Minneapolis, MN. Shop online for holiday gifts, birthdays, get well, thank you and new babies. 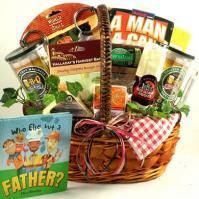 Our fine quality gift baskets will delight your loved one and brighten their day. Buy online and take advantage of discount coupons and free ground shipping. Now that adds up to big value. Glistening lakes and fun-filled city life describe this attractive place. The city of Minneapolis is the county seat of Hennepin County and has an estimated population of 373,188 as of 2003. The city sits on the Mississippi River and has around 22 lakes that run through its city, with more lakes in the surrounding areas. It's no wonder Minneapolis got its name from the Sioux term meaning "water" combined with a Greek word for "city." Its nickname fits the city well - City of Lakes! Minneapolis is located across the Mississippi River from Minnesota's state capital, Saint Paul. Minneapolis and Saint Paul are often called the "Twin Cities." Other nearby cities include Falcon Heights, Golden Valley and Lauderdale. Minneapolis was ranked number one in literacy by the University of Wisconsin in 2003. Also, the city was ranked number seven for the best cities for women by the University of Wisconsin in 2003. It was ranked number two in a list of the ten best running cities selected by Runner's World Magazine in 2004. Some famous people who have lived in Minneapolis include author Anne Tyler, Vice President Hubert Humphrey, actor Peter Krause, actor James Arness and musician Prince. During the 1970s, Minneapolis was the setting for the television program "The Mary Tyler Moore Show." In 1996, it was the filming location for the movie "Fargo" and in 1984, the movie "Purple Rain." The city of Minneapolis hosts several festivals and events each year, including the Minnesota Fringe in August, the Swedish Heritage Day in June and the Norway Day in July. There's also a Showboat event, a Renaissance Festival and a Sommerfest. Minneapolis offers a busy night life with entertainment at almost every turn. Music lovers will enjoy the Civic Orchestra of Minneapolis, the Minnesota Orchestra or the Minnesota Opera. Also, there are Broadway shows, theaters and many restaurants. Visitors can combine music with dining by visiting one of the many restaurants that have live jazz music. Art fans can enjoy exploring one of several art museums or institutes such as the Minneapolis Art Institute, the Frederick R. Weisman Art Museum or the Walker Art Center. There are also museums where one can learn about the heritage of Minneapolis such as the Mill City Museum (http://www.millcitymuseum.org), which reveals the ruins of the Washburn A Mill. It has great exhibits and games to bring the flour mill industry to life. Another place of interest is the Stone Arch Bridge, a huge structure that's made of native granite and limestone. It stretches 2,100 feet across the Mississippi River. Nature lovers will enjoy visiting the lakes and parks of the area, or strolling along one of the unique walking paths on the shore of the Mississippi River. The Lake Harriet Rose Garden is a beautiful place to relax, ride a bike, walk, etc. The St. Anthony Falls can be seen in the Minneapolis historic district. The Minnehaha Park is one of the oldest and most popular parks in Minneapolis. Here, visitors find gorgeous waterfalls and much more! In Minneapolis, there are many great buildings to view and tour. The Basilica of Mary is a religious building that was the first basilica in the nation. Another amazing structure is the St. Mark Episcopal Cathedral. The Wells Fargo Tower also has an observation deck open to tourists. And, there's a lookout at the Upper St. Anthony Lock and Dam.